Architectural features of massive castles, cathedrals, and municipal buildings are awe inspiring. With our heads tilted back to take in all of the lofty vaulted ceilings, we marvel at the engineering as well as the beauty. French designs over the ages sometimes took generations of architects and masons to complete their grand designs, leaving behind buildings of such magnitude and beauty they still stand centuries later. 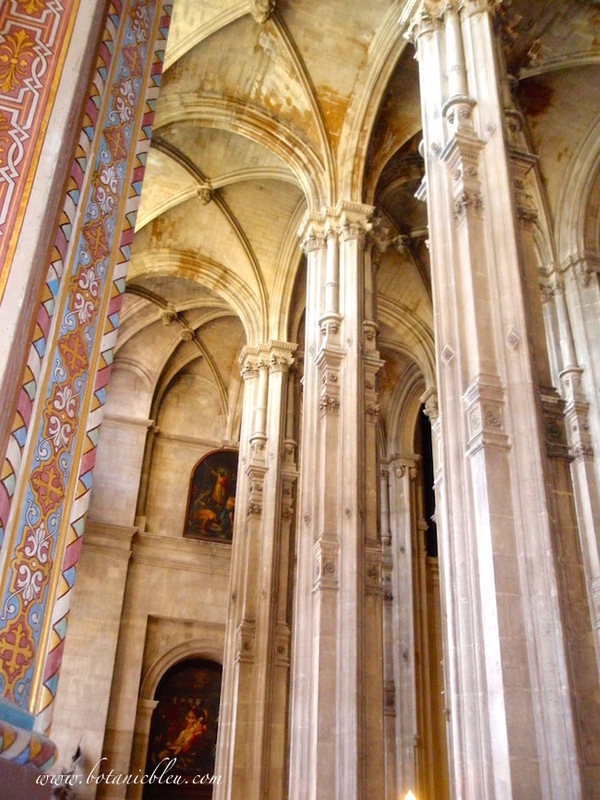 Église Saint-Eustache in Paris, France was begun in 1532 and finished in 1657. A Gothic exterior surrounds the magnificent interior with Renaissance influences. Château de Beynac in the Dordogne region of France was begun in the 12th century and enlarged over several centuries until the 17th century. The castle was significant in the Hundred Years War and changed hands more than once, alternating between English and French armies. Château de Chenonceau was begun in 1514, the bridge over the river finished in 1559, and the grand gallery built on the bridge in 1570-1576. The graceful ribbed supports reflect styling by its feminine owners and caretakers. Armies, fortunes, and caretakers were required to maintain the grandeur of castles and cathedrals lest they fall into ruin from wars or neglect. Fortunes and caretakers are still needed today. 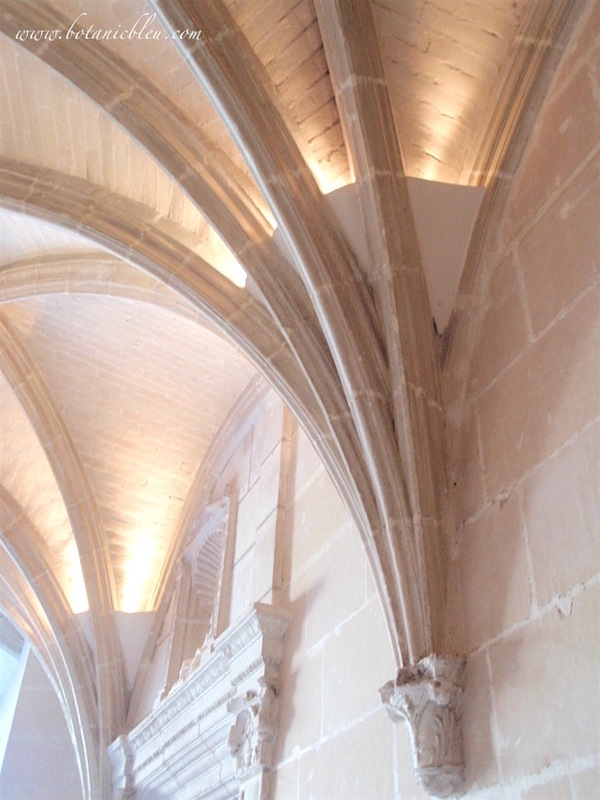 An alcove in the Église Saint-Eustache demonstrates part of the restoration completed after the French Revolution when it was desecrated and used as a barn. 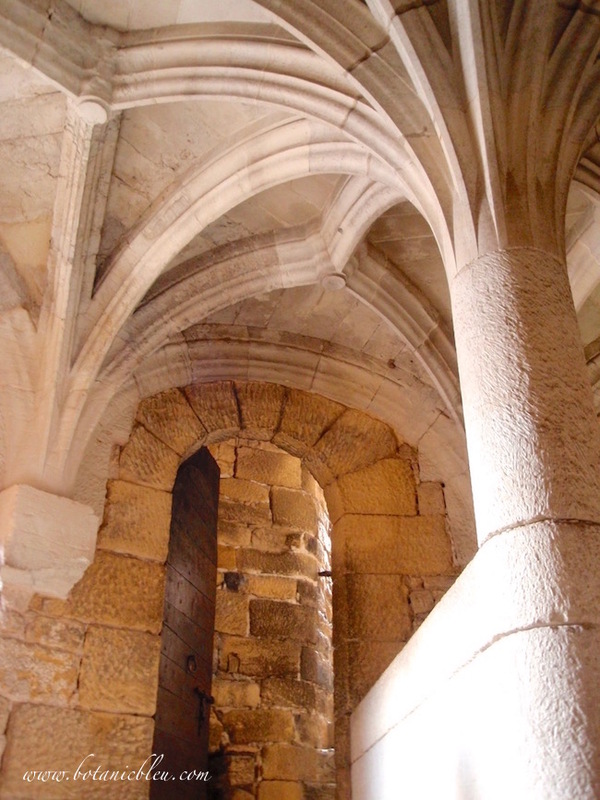 An 11th century Romanesque church, Saint Caprais, was restored in the 16th century. The church is a small building in Carsac, France that has unique bust carvings at the base of each of the arches. Until recently it never occurred to me that modern residences had ribbed vaulted ceilings. Not until I saw a post by Peonies and Orange Blossoms, In Love With Groin Vault Ceilings. 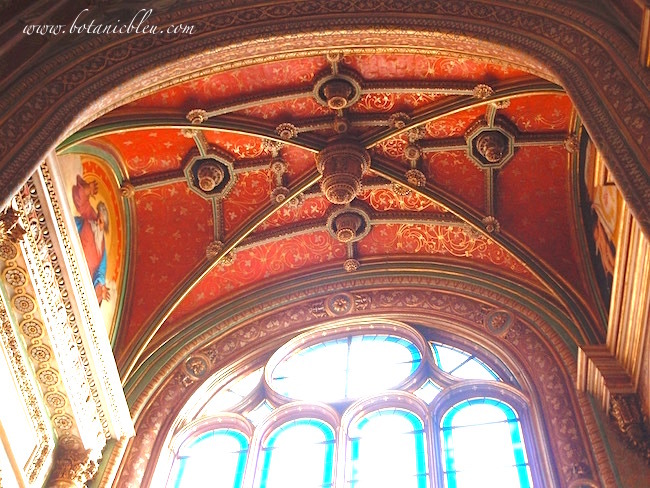 Angela wrote a wonderful summary of the architecture of groin vault ceilings and included photos of modern French-design houses that have beautiful groin vault ceilings. All of the photos on Angela's post show houses with groin vault ceilings in hallways. See a pin on my French Country Design Pinterest board for another smaller, more modest house that also has a hallway with a ribbed vaulted ceiling. 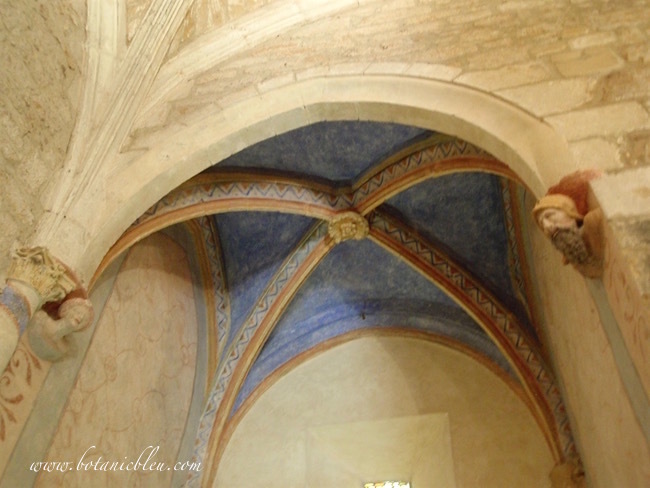 Where do you dream of a French design ribbed vaulted ceiling? If you love blog tours and linky parties, mark your calendar to come back on August 21 when 13 bloggers launch a blog tour for KariAnne Wood's new book, So Close to Amazing. 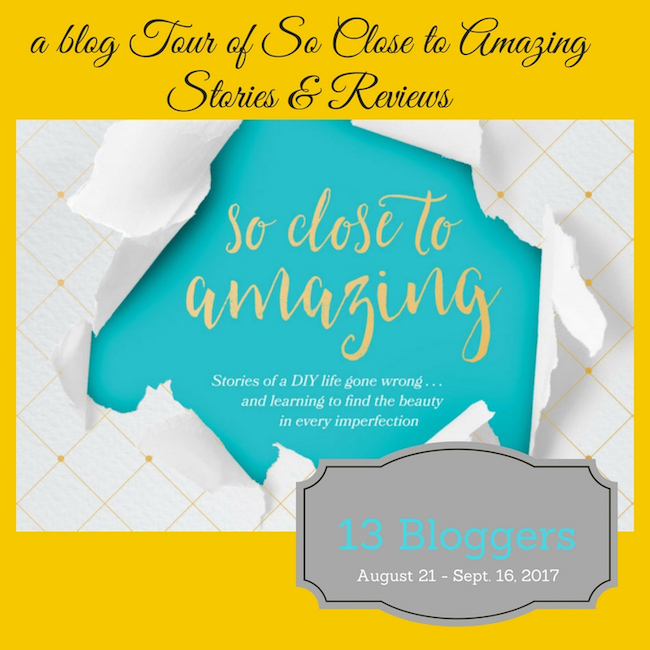 Not only can you read stories and reviews from the 13 co-host bloggers, including KariAnne, you are also invited to link up your own personal stories of being so CLOSE to amazing. We would love for you to share our blog tour button on your blog and all your social media sites (Instagram, Pinterest, Facebook....) Invite your friends and readers to the blog tour, and invite them to share their stories of being so CLOSE to Amazing. Judith, you have the most beautiful photos from your travels. I just really appreciate the way you are able to translate and transfer architecture and style that can be very "fancy" to something we can all love and live with. Lovely pictures. I can't wait to see some of this in person. Thanks for hosting a So Close To Amazing link up. yes!! Loved this post! I love groin vaults so much, thank you for referring to my post too! I am catching up on your French Fridays... been busy this Summer and haven't caught up on a lot of my reading! What a wonderful post-Judith! I have always loved a ribbed vaulted ceiling. I most recently saw one at St. Patrick's Cathedral in NYC. Thinking of you and hoping you and your family are well.